Other investment options have questionable returns. Savings Accounts tend to have less than 1% interest rates. Bonds typically have less than a 3% return. Stocks may be able to yield higher returns in the long run, but they are subject to market volatility and are just as likely to decrease in value. Commercial real estate can provide stronger returns. Historically, these investments have yielded approximately 9.5% returns over a 20-year period, when you consider annual cash flows plus appreciation. Purchasing commercial real estate can help you generate a dependable income stream from long-term tenants to whom you rent the property, such as business owners and employers. You can use the income stream to pay on any financing that you need to secure the unit so that the rents pay more than your carrying costs and generate positive cash flows. The income stream generated from commercial properties is often steady and predictable, so it is not subject to market volatility like other investment forms. One popular option for commercial investors is to use a triple net lease model. Under this system, tenants pay for the building’s taxes, maintenance costs and property insurance in addition to their monthly rent. 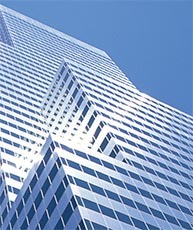 In this manner, commercial investors can avoid paying nearly any expense related to the asset other than the mortgage. Multifamily units – Urban midrise and Garden apartments, high-rise apartments and other housing complexes are just a few options available in this category. Offices –Downtown office space, offices in commercial zones and other offices can help you rent the property to commercial tenants in white-collar industries. Industrial properties – These properties include factories, manufacturing centers, warehouses, assembly plants and other industrial sites. Retail – Strip stores, stores in larger shopping centers and malls are included in this category. Hotels – Small boutique properties as well as large recognized establishments can make great investments. Real estate may create a hedge against inflation. Rents can increase over time as consumer prices rise. Additionally, property values tend to keep up with inflation, so using this as an investment vehicle can help you stay ahead. While all investments are subject to a certain degree of risk, commercial real estate is often less susceptible to changes in the market. Commercial real estate is typically a long-term investment, so you may be able to avoid the reactive nature of the stock market by maintaining long-term assets. You can further avoid volatility by using extended lease terms and carefully selecting properties based on current trends in development in your area. While stocks and bonds may be met with large capital gains and increased tax liability, commercial real estate offers several tax advantages. Investors may be able to deduct mortgage interest payments and make deductions related to depreciation. Commercial real estate is often perceived as a safer investment because it is a hard asset. If necessary, the property can be sold, often after realizing a significant increase in value.